Huge promotion has been taking place to get 10,000 lovers to mingle and laugh at his show, even involving ‘The Queen’ and now he is here to do his job. He arrived London yesterday, visited The Beat FM studios, then attended church today with his Elsie before appearing on LondonLive channel for more promotion. One of the biggest comedy show in town, star guests include artist – Mr Eazi, and comedians – Niyi Akin, Salvador and Kenny Blac. 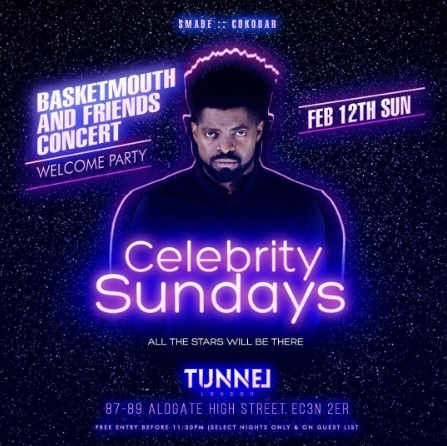 There is a planned welcome party for him tonight at the luxury champagne & cocktail bar – Tunnel in Aldgate. 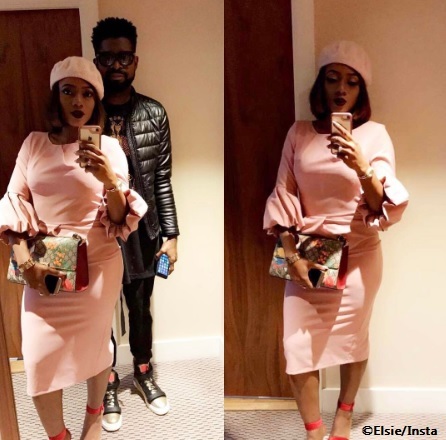 UK Nigerian Basketmouth arrives in town with wife in time for his valentine comedy show 2017 Bookmark the permalink.